Branden Pub Co. Hardcover. 0828319634 278pp. 0.75 x 9.25 x 6.25 . Very Good. March 1994. Boston: Branden. Very Good+ in Very Good+ dust jacket. 1994. Hardcover. 0828319634 . In VG+ DJ; Blue cl. B&W photos; 8vo; 279 pages . Boston, MA: Branden Publishing Company, 1994. HC. very good+ w/very good+ dustjacket (hardcover). B&W illustrations. ISBN 0828319634 On the battlefield and at home, this volume chronicles the stories of three African-Americans who joined, with over 170,000 others, to make their race free. These men, Elijah Dorsey, Fletcher Howard and Augustus T. Alexander, discovered that racism in their own army was as stubborn an enemy as the Confederates. 283pp. Branden Pub Co. Hardcover. 0828319634 Both book and jacket clean and bright. . New. 1994. Branden Pub Co, 1994-02. Hardcover. Good. Branden Pub Co, 1994. 1st Edition 1st Printing. Hardcover. Very Good/Very Good. 8vo - over 7¾ - 9¾" tall. Very Good/Very Good condition. First edition, first printing. No markings to the text block. No marks of personal identification or prior ownership. Wellesley, MA, U.S.A.: Branden Books, 1994. First Edition. Cloth. Fine/Fine. First printing. Cloth, 278 pps. plus photographs. Told in the first person, the story of three African Americans who joined the Union Army to fight for the liberty of their race: Elijah Dorsey, an escaped slave from a plantation outside Baltimore, Fletcher Howard, an outspoken abolitionist who had lost multiple jobs because of his views, and Majot Augustu T. Alexander, one of the few blacks commissioned during the Civil War. Fine in fine dust jacket. Boston, MA: Branden Publishing Co., 1994. First Edition. Hardcover. Fine/As New. Size is 8vo. 2 B/W Photos. (full book description) Branden Publishing Co., Boston, MA, 1994. 1st Edition Fine/Fine, Hard Cover, w/Dust Jacket. Size is 8vo, 278pgs. 2 B/W Photos. Clean, tight & bright. NO ink names, bookplates, DJ tears etc. 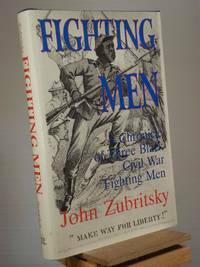 ISBN 0828319634 [Fiction; First Editions; U.S. Civil War; Civil War Fiction] SELLING WORLDWIDE SINCE 1987. WE ALWAYS PACK WITH GREAT CARE! Boston, MA: Branden Publishing Co., 1994. First Edition. Hardcover. Fine/As New. Size=6.5"x9.5". 2 B/W Photos. (full book description) Branden Publishing Co., Boston, MA, 1994. 1st Edition Fine/Fine, Hard Cover, w/Dust Jacket. Size=6.5"x9.5", 278pgs. 2 B/W Photos. Clean, tight & bright. NO ink names, bookplates, DJ tears etc. Price is unclipped. In clear protective wrapper. 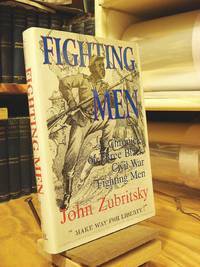 ISBN 0828319634 [Fiction; First Editions; U.S. Civil War; Civil War Fiction] SELLING WORLDWIDE SINCE 1987. WE ALWAYS PACK WITH GREAT CARE! Civil War: Branden Publishing Company, 1994. 278 pgs., a couple of company photos at rear.. Hard Cover. Very Good/Very Good. 8vo - over 7¾" - 9¾" tall. Branden Pub Co, 1994-02-01. Hardcover. Used:Good. Boston: Braden Pub.. Hardcover. 1994. 8vo 280pp . Fine in Fine DJ. B&W Illustrations Historical novel . Wellesley, Massachusetts: Branden Pub Co, 1994. 1st Edition . Hardcover. Near Fine/Near Fine. 8vo - over 7¾ - 9¾" tall. Fighting Men. 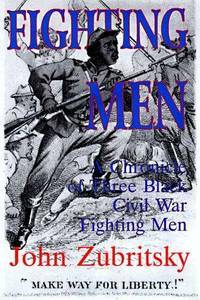 a Chronicle of Three Black Civil War Fighting Men. Branden, Boston.. Fine in Fine dust jacket. 1994. First Edition; First Printing. Hardcover. 0828319634 . First Edition. Hardcover. 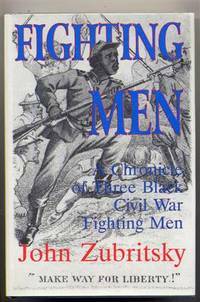 A novel of three black men who fought in the Civil War and discovered that racism in their own army was as stubborn an enemy as the Confederates. 278 pages plus two of photo illustrations and books of interest. Dust jacket and book are in Fine condition. ; Standard Book Size . Boston, MA: Branden Pub. Company, c1994. First? Edition. First? Printing. very good, very good. 24 cm, 278, illus. A novel of three black men who fought in the Civil War and discovered that racism in their own army was as stubborn an enemy as the Confederates.